Coming back from spring break, it's easy to fall into a mid-semester funk. With numerous events on Cougar Link and tons more on the academic calendar to remember, which are the most important? If one is suffering from the fear of missing out, fear no more! 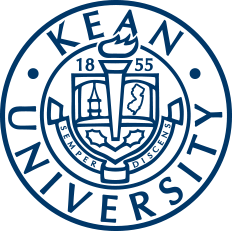 Here is an all-inclusive guide to the most important dates for Kean students to remember in April. For all students taking second half-term courses, April 2 was the last day to add or drop a class with a 100 percent refund, not to mention no mark on one's academic record. After this, April 9 is the deadline to withdraw with a 75 percent refund and April 16 is the last day to withdraw with a 50 percent refund. Next, April 12 is the last day to withdraw from a class with a "W" on one's transcript, but one will not be able to receive a refund. Another important event this month is Kean Dance Marathon (KDM), the Greek Senate’s annual 12-hour apex of a year’s worth of fundraising efforts, will be taking place April 12 in Harwood Arena. From noon to midnight, students will be able to experience a day of music, activities and charity all to benefit the Children’s Specialized Hospital in Mountainside, New Jersey. 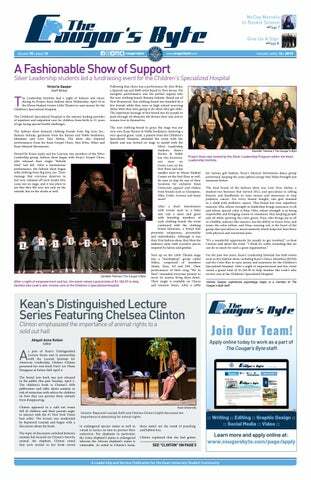 Read more about KDM in its Cougar's Byte article. Students should remember that the University will be closed from Friday, April 19 to Sunday, April 21 for Easter recess. Classes will be back in session Monday, April 22. Furthermore, Research Days 2019 will be held Tuesday, April 23 and Wednesday, April 24. For those who don't know, this is an annual event that provides students the opportunity to present preliminary or completed research and creative work to the campus community. Presentation formats include poster presentations, oral presentations, exhibits, creative work and performances. Individual or team projects are welcome. Feel free to check out the Cougar's Byte's article on Research Days 2019. If students have any further questions, email orsp@kean.edu. Keep in mind that April 26 is the last day to file a graduation application for January 2020 bachelor's degrees for early evaluation. Before one applies, be sure to review the policies and procedures on the Graduation Information website. Then, meet with the designated academic adviser or program coordinator to determine if one is on track. The application can be found on KeanWise. As the end of the semester approaches, expect a few schedule changes. Classes will follow a Friday schedule and no Tuesday classes meet on Tuesday, May 7. On Wednesday, May 8 , classes will follow a Monday schedule, and no Wednesday classes will meet . From Thursday, May 9 to Wednesday, May 15 is exam week, ending in the last day of the term. Although exams can be stressful, there is always a pay-off. Graduate commencement will be held Friday, May 17 at 11 a.m. in the New Jersey Performing Arts Center, and undergraduate commencement will be held Thursday, May 23 at 8:30 a.m. in the Prudential Center. The end of the semester is quickly approaching! Students should remember to add these dates to a calendar so they don't forget them. For additional scheduling information and more important dates, visit the academic calendar here. Happy studying, and congratulations to all graduating! Victoria Gasper joined The Cougar's Byte as a staff writer in March 2019.